Disney planning is not just a job for me, it is truly a passion. As a military spouse for over 22 years with a dozen moves including all four corners of our great country, Disney has been my family’s vacation home. No matter where our service has taken us, we returned to Disney year after year to build magical memories with our friends and family. What I have come to love about Disney, more than anything, is that it is a wonderful place to get away with your loved ones and leave the cares of the world behind. I’ve seen Disney through my own eyes as a child, a friend, a wife, and a mother. I’ve planned numerous trips for friends and family ranging from two to over twenty. We were lucky to have a duty assignment in central Florida and we wore out the highway with countless trips to the “most magical place on Earth”. It gave us the opportunity to visit Walt Disney World during every season, and we experienced so many of the special events Disney offers throughout the year. If I had to pick, Christmas is my favorite time of year at Disney. There is nothing like walking down Main Street, USA and seeing the Castle draped in Christmas lights, hearing your favorite Christmas songs while snow (yes, snow) is drifting down from above. I am excited to use my passion for Disney planning to help others find their favorite Disney time of year because no matter when you go, there is nothing like the thrill of anticipation as you enter the gates in the morning, or enjoying the fireworks with your arms wrapped around the ones you love at the end of a magical day. I feel so fortunate to be working with Ears of Experience to help others plan their Disney vacations and create magical memories that will last forever. Ears of Experience, LLC is an Authorized ​Disney Vacation Planner, a distinguished award given to only select agencies. Ears of Experience was invited to join the Disney EarMarked Program Travel Advisory Council. The Council is an exclusive group of 20 selected owners of National Authorized Disney Vacation Planner agencies that was formed to help develop and improve Disney’s EarMarked Program and the guest’s experience as a whole. 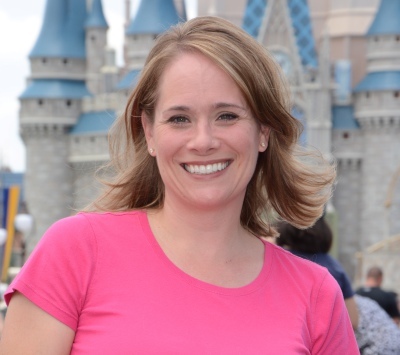 The Ears of Experience team is committed to creating a magical and stress-free Disney vacation for every client. Using the most updated and accurate information available, we plan each customized Disney vacation based on experience. The team continues to take the same trips to Disney we recommend to our clients.